The Ellington Hotel Berlin is a 4 star design hotel with modern rooms, a restaurant, bar and gym offering relaxed elegance in the middle of the city. 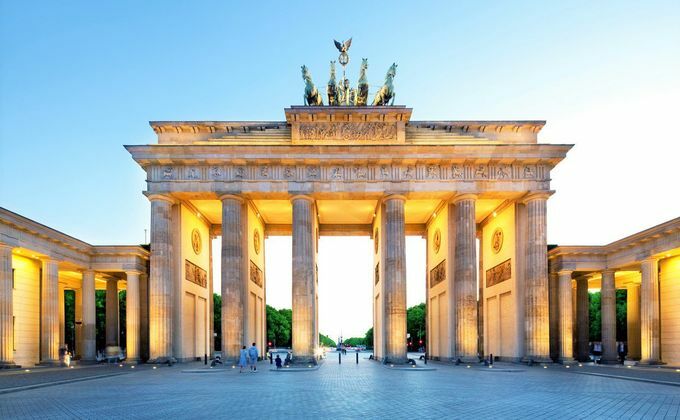 It's just a 2 minute walk to Berlin’s Kurfürstendamm shopping street and the KaDeWe department store and has a TripAdvisor Certificate of Excellence award. Return direct flights from London Gatwick, Luton, Stansted, Bristol, Birmingham, Manchester, Liverpool, Glasgow or Edinburgh flying with various airlines dependent upon departure date and airport, refer to dates and pricing. Kids from £109 when sharing with two full fare paying passengers (aged 2-12 years). Price based on selected departure dates in May 2019 flying from Stansted with 2 adults sharing a standard double room. Maximum occupancy 2 people. Prices correct as of 3rd April 2019. Offer subject to availability.